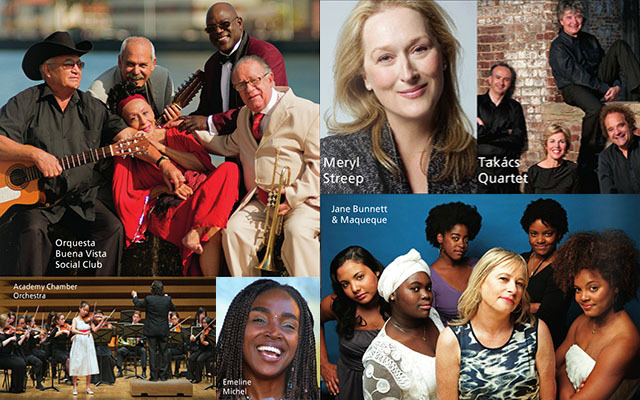 As The Royal Conservatory of Music’s 2015-16 concert season begins, three concerts are already sold out, and have been for months: Philip Roth’s Everyman featuring Meryl Streep and Takács Quartet on October 17, which will be The Conservatory’s Season Gala, Orquesta Buena Vista Social Club’s “Adíos Tour” on September 27, and Joan Armatrading on October 3. The only seats that remain for these three concerts are BMO Rush Tickets that are sold on the day of the concerts, 90 minutes before curtain. One of the greatest film actresses of all time, Meryl Streep, and one of the world’s great ensembles, the Takács Quartet, join forces for an evening of readings and chamber music. Streep reads from Phillip Roth’s novel Everyman and the Quartet plays excerpts from Schubert’s “Death and the Maiden,” the Elegy from Shostakovich’s String Quartet No. 2, Arvo Pärt’s Psalom, and the Passacaglia from Britten’s String Quartet No. 3. To salute the resilient spirit of the people of the Caribbean and US Gulf Coast affected by the devastating Hurricane Katrina in the fall of 2005, The Royal Conservatory presents a special concert series. 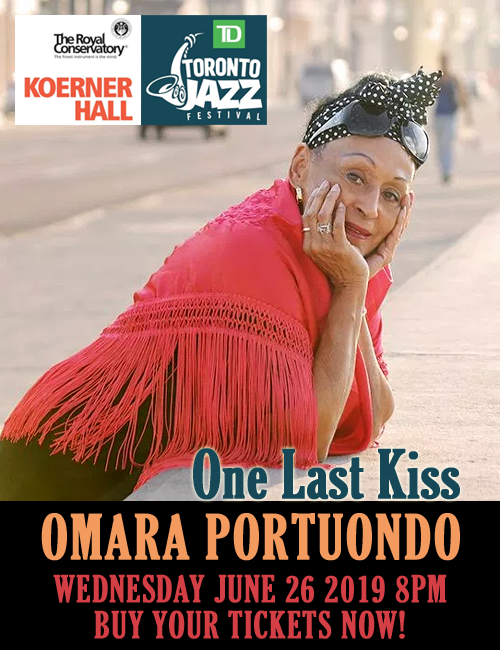 It opens on September 27 with the sold out Orquesta Buena Vista Social Club concert, featuring Omara Portuondo, Eliades Ochoa, Guajiro Mirabal, Barbarito Torres, Jesús “Aguaje” Ramos, which is presented in association with Small World Music. The series continues on October 24 with Jane Bunnett & Maqueque and Emeline Michel. For more than 30 years, celebrated Canadian flutist and saxophonist Jane Bunnett has been bridging the gulf between Cuba and North America, introducing jazz audiences to some of the finest musicians that the island has to offer. Now, with her new Juno Award-winning sextet Maqueque, she introduces the world to some of Cuba’s most promising female musicians. Emeline Michel, the reigning Queen of Haitian Song, shares the evening. She is a captivating performer, versatile vocalist, and one of the premier Haitian songwriters of her generation, beloved for combining traditional Haitian rhythms with social, political, and inspirational lyrics. The great Australian songwriter Peter Allen wrote the song, “Quiet Please, There’s a Lady on Stage,” after being annoyed that audiences were talking through a club performance by his friend Dusty Springfield. This season, Koerner Hall brings seven brilliant ladies whose voices demand attention, beginning on October 3 with Joan Armatrading (sold out). “One of the most admired and respected singer-songwriters on both sides of the Atlantic,” (Huffington Post) Armatrading makes a stop in Toronto during her farewell tour. The first female UK artist to debut at number 1 in Billboard’s blues charts and to be nominated for a Grammy in the blues category, brings her favourite songs, including “Love and Affection,” “Willow,” “Drop The Pilot,” and “Me Myself I,” along with new songs. Canadian singer/songwriter Liam Titcomb opens the show. On October 30, Koerner Hall is transformed into the streets of Paris as French singer Anne Carrère celebrates Edith Piaf @ 100. Piaf’s amazing life story and career is remembered through never before seen photos and images, English translations of the lyrics, and, of course, the unforgettable music. The Conservatory will also present celebratory birthday concerts honouring Yehudi Menuhin (100), Frank Sinatra (100), and Oscar Peterspn (90) later in the season. Called “classical-music tricksters” by the Seattle Times, violinist Aleksey Igudesman and pianist Richard Hyung-ki Joo have created this outrageously funny show for those who lis­ten to Mozart, love Mozart, don’t care at all for Mozart, and have never even heard of Mozart! On October 18, And Now Mozart will change noth­ing, except enhance your love of music and tone your stom­ach mus­cles by laugh­ing. Presented in partnership with Show One Productions. 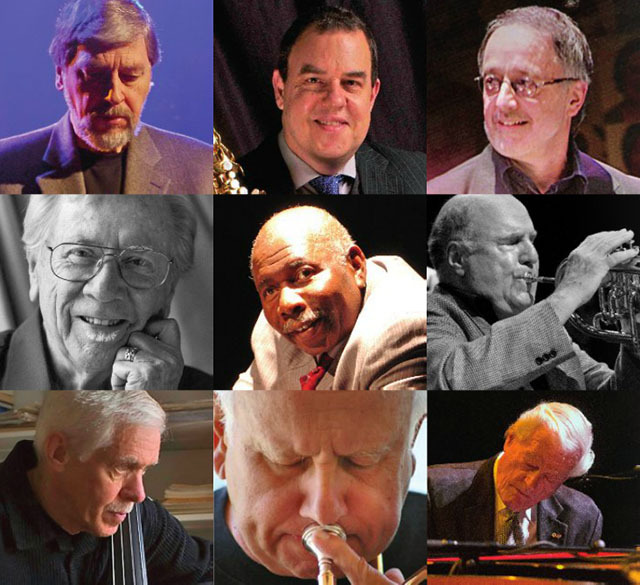 The “Order of Canada” Band, a star-studded group of Order of Canada recipients, including Jens Lindemann, Tommy Banks, Guido Basso, Terry Clarke, Phil Dwyer, Phil Nimmons, Don Thompson, Dave Young, and Joseph Macerollo, appears on October 23. The centerpiece of the concert is Canadiana Suite, an arresting eight-movement work by Oscar Peterson, describing a musical journey that represents every region of Canada. Arranged by Peterson’s legendary 92-year-old friend and fellow jazz musician Phil Nimmons, Canadiana Suite has never before been performed in this unique big band arrangement. The Invesco Piano Concerts series kicks off with American pianist Simone Dinnerstein in her return to Koerner Hall on October 25 with a program of Robert Schumann, J. S. Bach, Schubert, and the Canadian premiere of Philip Lasser’s Breughel Suite. The New York-based pianist gained an international following as a result of the remarkable success of her recording of Bach’s Goldberg Variations, ranked No. 1 on the U.S. Billboard Classical Chart in its first week of sales. She was named to many “Best of 2007” lists, including those of The New York Times, The Los Angeles Times, and The New Yorker. The Mazzoleni Masters concert series begins on September 20 with distinguished international pianist and pedagogue, John Perry, in a program of Mozart, Brahms, Beethoven, and Schubert. Celebrating his 80th year, this season will see him performing in China, Germany, and United States, culminating in his Carnegie Hall return. The ARC Ensemble (Artists of The Royal Conservatory) will present a free Culture Days performance on September 26. Over the last ten years, the Ensemble has become one of Canada’s pre-eminent cultural ambassadors, raising international appreciation of The Royal Conservatory and Canada’s rich musical life. Their program includes works by Mozart, Shostakovich, and Mieczys?aw Weinberg. 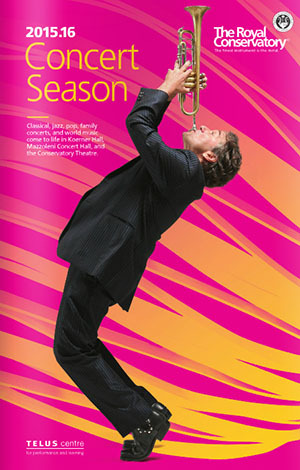 Julian Kuerti conducts the Royal Conservatory Orchestra and Alexis Hatch on October 2. In his return engagement Kuerti, the Principal Conductor of the Orquesta Sinfónica de la Universidad de Concepción in Chile and frequent guest conductor for orchestras across North America, conducts a program of Mahler’s Symphony No. 4 and Elgar’s Violin Concerto in B Minor, played by Ms. Hatch. Hatch, who won The Glenn Gould School Concerto Competition, is currently studying with Paul Kantor and Barry Shiffman at The Royal Conservatory’s Glenn Gould School. The Conservatory has added the return engagement of cabaret star Meow Meow on Thursday, May 5, 2016, at 8pm as part of the Quiet Please, There’s a Lady On Stage concert series. The singer, who “blends performance art, cabaret, and pop culture into a style that defies labeling” (Preview Magazine), sold out her Koerner Hall debut on February 2, 2013. In additional news, the Sinatra @ 100 concert line-up has been updated with the participation of Joe Sealy (music director), CBC Radio 2’s Tom Allen (host), and singers Brent Carver, Barbara Lica, Jackie Richardson, Suba Sankaran, Matt Forbes, and Justin Bacchus. The concert takes place on December 12. Orquesta Buena Vista Social Club® “Adiós Tour” (TD Jazz: Katrina 10 Years On – Sunday, September 27, 2015 at 7pm | KH; SOLD OUT! BMO Rush Tickets will be available. A Very Special Solo Evening with Joan Armatrading (Quiet Please, There’s a Lady on Stage) – Saturday, October 3, 2015 at 8pm | KH; SOLD OUT! BMO Rush Tickets will be available. Philip Roth’s Everyman featuring Meryl Streep and Takács Quartet (Season Gala – Saturday, October 17, 2015 at 8pm | KH; SOLD OUT! BMO Rush Tickets will be available. Tickets and subscriptions are available online at www.performance.rcmusic.ca, by calling 416.408.0208, or in person at the Weston Family Box Office. Become a Royal Subscriber: select any 4-6 concerts and save 10%; select any 7+ concerts and save 15%; both levels receive special subscriber benefits. All concerts take place at The Royal Conservatory of Music – TELUS Centre for Performance and Learning, 273 Bloor Street West, Toronto.